Liteforex offers a forex bonus of 30% over your first deposit and a 15% reload bonus for each new deposit. Liteforex is a forex broker that is especially attractive for (beginning) traders, because you only need $1 to open a real money trading account. Note: To get the 30% bonus on your 1st deposit you will have to deposit within 24 hours after your registration! You will get 30% of your deposit as a bonus added to your account. For instance, if you deposit $100, you can start trading with $130. The minimum amount of your deposit(s) is $30 per deposit. 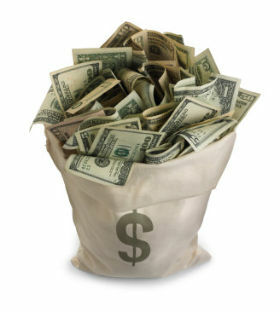 The max forex bonus for the history of the account is $1,000. This includes forex reload bonuses you get for new deposits. You have to trade 1 lot for each $3 dollar in trading to clear the bonus for withdrawal. If you withdraw your bonus before clearing it, the bonus will be cancelled. You can withdraw profits right away without any penalty. There is no time limit on clearing the bonus, so you can take as much time as you want. Mobile trading: yes, android, iPhone, blackberry and iPad. Support: Good. 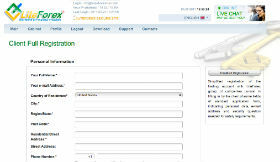 possible to contact by phone, email and live chat, 24/5. 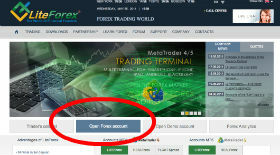 Liteforex uses Metatrader as its trading platform, which is an well known independent trading platform. 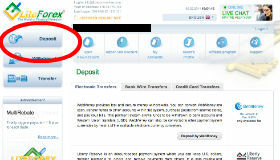 However, Liteforex offers no webtrader, making it not very Mac friendly, because Metatrader is not suitable for Apple. Liteforex does offer Metatrader versions for all the important smartphones, such as iPhone, Blackberry and Android, as well as the iPad. One of the best things about LiteForex is the $1 trading account minimum. Altough you won't make it big with trading for cents, it will allow you to take it slow as a beginning trader. The 30% 1st deposit bonus is also quite good (mind that you have to deposit within 24 hours of your registration to get it) as are the 15% reload bonuses for subsequent deposits. The fact that the total forex bonus is limited to $1,000 seems unnecessary, but this is a minor thing. All in all, we consider this a good forex broker with a forex bonus worth getting. The 30% 1st deposit forex bonus will be added to your account.